Your local wholesaler for air conditioning and heat pump systems! Below are the answers to the most commonly asked questions. Feel free to email us if your questions still remain unanswered. How would a split air conditioners look in my room? How does branch box connection work with multizone condensers? How is solar panel installed on a split system? How close ot the ceiling can the wall mount air handler be? How to raise condenser above ground to prevent snow build up or debris around it? How can condenser be installed on an gable or elevated roof? What is a condenser pad? Where does the drain tube connect to the air handler? 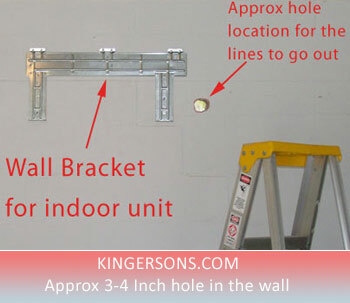 How does the wall bracket for indoor unit attach to the wall? How big is the hole needed for wall mount ductless split system installation? Can I stack two split system condensers on top of each other? How to clean wall mount air handler and filters? Do the ductless split systems come pre-charged? How is it charged? What can I use to hide the copper lines on the building outside? Can the wall mount unit be installed above a door? Is it possible to add wall mount unit above window? How can wall mount unit be installed above the closet? Is it easy to install a wall mount on a unfinished wall? Installing wall mounts in a new construction project. How to install wall mounted unit on a vaulted wall or ceiling? Ductless Split Systems do not require duct work like the traditional central systems. In this case you have a condenser (outdoor unit), which is connected to an air handler (indoor unit) which can be installed on a wall (also called wall mounts) or in the ceiling or floor, depending upon your application and requirement. Like the central air conditioner units, ductless mini split air conditioners have two main components: an outdoor compressor/condenser, and an indoor air-handling unit. A conduit, which houses the power cable, refrigerant tubing, suction tubing, and a condensate drain, links the outdoor and indoor units through a small hole (3 inches usually) that is drilled in the wall of the building. The main advantages of ductless mini split air conditioners are their small size and flexibility for zoning or heating and cooling individual rooms. Plus you do not need to spend large amount on money on duct work. Since each of the split air conditioner zones/rooms will have it's own thermostat, you only need to condition that area when someone is present, which saves energy and money. If you are in a office building at a higher floor, you can also install Outside Compressor using our Wall Bracket. Should I buy Central or Ductless? Central systems are a little cheaper to buy in comparison to ductless systems, but they are very expensive when it comes to installing duct works around the house. The duct work may or may not require maintenance overtime. Plus with central system you cannot zone the rooms, every room gets same cold air. In case of ductless you can zone the rooms. One room can be on cool mode, while the other room can be on fan mode. One room could be on 75 deg, while other room can remain on 70 deg temperature. 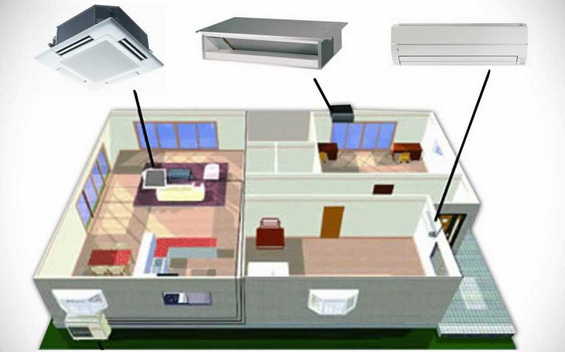 While ductless systems are cheaper to install, they allow individual zoning of each room, they purify air in the rooms a bit better than central systems, plus they have lot more advanced technology that you don't find in lot of ducted systems. Advantages of ductless split air conditioners? 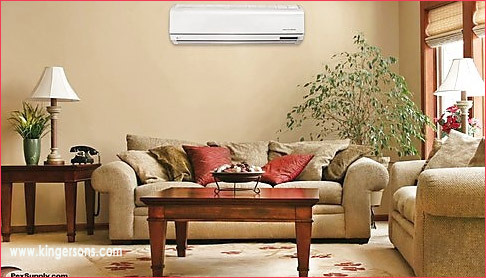 Why choose a ductless mini split air conditioner? => Lot cheaper than central air conditioner. No Duct Work required. => Long term solution, good for new additions or when replacing existing system. How do they look on the wall? Wall types v/s ceiling flush mounts? Wall type units are lot cheaper than ceiling mount units. Plus in many cases wall mounts can be installed easily on the wall compared to the ceiling mounts that normally have to go between the trusses in the attic. If you do not have the attic you will need to build something around ceiling mounts. Plus you need to buy extra accessories with ceiling mounts compared to wall mounts that comes complete. What does DC Inverter Mean? Why buy heat pump over cool only? Lot of people are under impression that cool only unit are more energy efficient or they are more cheaper than the heat pump units, but that is not true. Usually the price difference is very little. Most of the brands stopped making cool only units due to the fact that cooling the room is now done with the heat pump method. In this case heat is taken from the room and thrown outside. Since this is a heat transfer techonlogy, it can go into reverse cycle and do the opposite in the winter time. Where it will gather all the heat from outside and bring it into the room. Heat pump is almost a free feature with most units. Beside you just don’t have to use it if you do not need it, but it is a good feature to have. You save more by using heat pump in winter as opposed to oil/gas based or electric heaters. Seasonal Energy Efficiency Ratio (SEER) — A measure of seasonal or annual efficiency of a central air conditioner or air conditioning heat pump. It takes into account the variations in temperature that can occur within a season and is the average number of Btu of cooling delivered for every watt-hour of electricity used by the heat pump over a cooling season. Higher the SEER more energy efficient the unit will be. HSPF is the abbreviation for the Heating Seasonal Performance Factor. This factor rates the efficient operation of the heating portion of the heat pump. As the HSPF increases, the unit functions at a more efficient level. 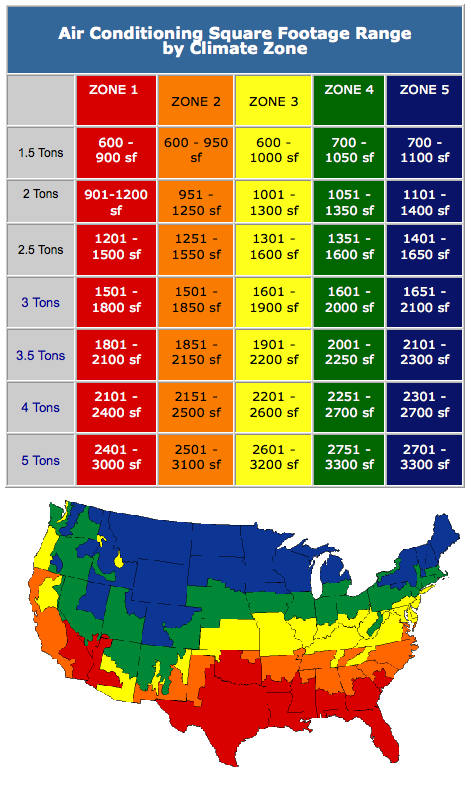 New units in the United States have HSPF ratings from 7.0 to 9.4. Heating Seasonal Performance Factor-the total heating output in B.T.U's during it's normal usage period for heating divided by the total electrical energy input in watt hours during the same period. Will heat pump work in cold temps? In old days heat pumps would not produce heat below 25 deg outside weather conditions. It is still true only if you buy standard cheaper units. But if you buy the advance DC Inverter units with in-built low ambient feature, you can now have the unit that will work in temps as low as in minus 13 deg. It depends from brand to brand. 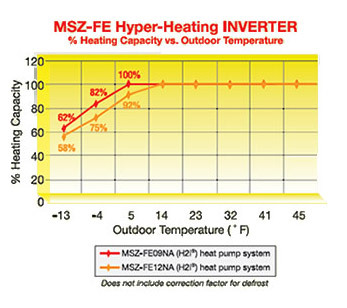 Some brands will go down to 10 deg, some go down to zero deg and then Mitsubishi has an “FE” (hyper heat model that goes down to minus 13 deg outside weather conditions. There is also an accessory you can buy that is called a Wind Baffle. It is like a metal cover that screws onto the front of the condenser outside, it keeps the wind chill factor out provides better results if you live in a climate with extreme cold temperatures. What does low ambient mean? We sell a lot of advanced units (SEER 15 or higher with inverter technology), that have in-built low ambient feature. 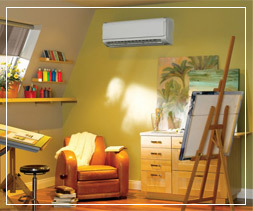 Most consumers use their ductless mini split for air conditioning in the summer months. Some consumers need air conditioning year round, even in winter in many cases. In general, air conditioners should not be operated in temperatures below 55°F. But Server rooms, meeting halls, basements, warehouse and restaurants are just a few examples of cases when air conditioning is needed even in winter temperatures. Anytime air conditioning is needed below 55°F a low ambient kit is required. A low ambient kit is an electrical accessory that can be added to your ductless mini split. The low ambient kit works by slowing the fan speed to maintain higher head pressure in the condensers compressor and prevent freezing. The fan speed is controlled by the low ambient kit that is connected to the fan motor on the condenser. 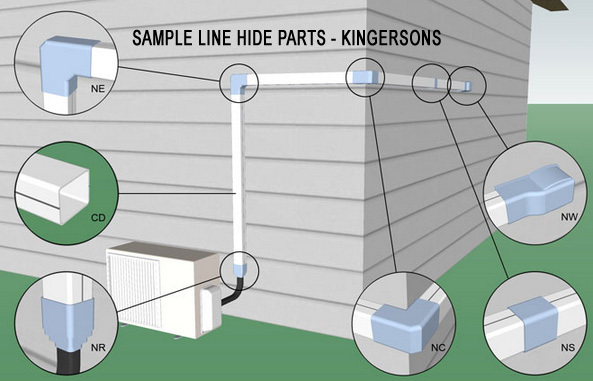 Many people see the term “low ambient kit” and think that it can be used to continue the operation of their heat pump in the cooler months. This is not true. A low ambient kit is only used to continue creating air conditioning in temperatures below 55°F. Are ductless units Energy Efficient? Absolutely. One of the main features why ductless split systems are so popular is because of the fact that they are energy efficient. We have units as high as SEER 27 on single zones and as high as SEER 23 on Multizones. Ductless split air conditioners and heat pump are one of the most energy efficient type of systems that are available in the industry today. We receive calls from confused consumers every single day not knowing which brand to buy. With so many different brands out there it does get confusing. Simple way to choose a brand is to start with checking out your requirement first, then browse through our comparison charts and compare the features you would like in your system. Based on all this you can finally narrow it down to three brands. Then investigate which one has best package deal, who has the better warranty and of course if two brands provide similar packages and same warranty then it comes down to who has the better price. PLEASE DO NOT go for system unit that is $100 cheap but has less features or poor SEER rating. It is never worth it. We have had customers who ended up buying SEER 13 product for $100 cheaper, when SEER 16 was available with low ambient operation. But they ended up spending $175 later in winter to buy the backup electric heater, as the standard SEER 13 would not produce heat when the outside temperature goes below 15 deg. In short if you buy a high SEER AC unit, with inverter technology and in-built low ambient feature, you pay more today, but it is your cheaper option in the long run, as you save $20-$60 approximately every month on electrical bills. Plus they work lot better than your regular standard units with lot more advanced features. Remember higher the SEER is more energy efficient the unit is. At the same time if you are buying this for just a guest room or a game room or a spare room where it will be used occassionally, you don't have to overspend on big brands. If price is not a big concern, we rate Mitsubishi, LG, GREE and YMGI units as THE BEST in the industry. YMGI comes with complete package deal. Normally 25 ft of copper linesets for each indoor units you buy. Are ductless splits whisper quiet? 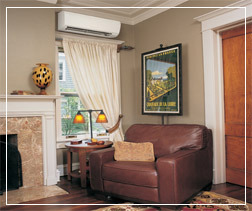 Yes, one of the main features of the ductless split systems is that they are whisper quiet. Even the condenser outside is quiet. Do they work as dehumidifiers too? Yes, if you buy the advanced units (SEER 15 or higher with inverter technology), they normally come with independent dehumidification modes. Standard units will dehumidify as well, but only when AC mode is running. With advanced systems, you can simply put it on dehumidification mode without having to turn air conditioner on. How to choose the right AC unit? Lot of times people call us and state they want an air conditioner under $1000 for a house that is 1500 sq ft. This is always the worst way to go about buying an air conditioner. Firstly you need to determine the right size Btu's for your room. Every room is different in many ways. Keys is to buy the right size, which is exmplained in our next article. Once you know your btu's for each room(s) you can choose the split system based on features, SEER and package deals. How to figure BTu's v/s Room Size? Use the previous article for better explanation. Every single city has different weather conditions year around. But if the room is well insulated with normal ceiling without any variables the rule of the thumb is 9000 btu for rooms 100-300 sqft. 12000 btu for rooms 300-500 sq ft. 18000 btu for rooms 500-750 sq ft. 24000 btu for rooms 750-1000 sq ft. 30,000 btu for rooms 1000-1250 sq ft and then finally 36,000 btu for rooms 1250-1500 sq ft. Other variables are to be considered as well, see below chart for example. What is the best package deal available in the industry? 1. YMGI products have HIGH SEER. 4. They come with complete install kits. 5. They come with 5 year on compressor and 1 year on parts. 6. Usually these are $350 more than what they are priced now. So yes, they are on sale now. If you compare it to any other brands with similar features and quality, this product is unbeatable. 7. They have thier own dehumidification mode. 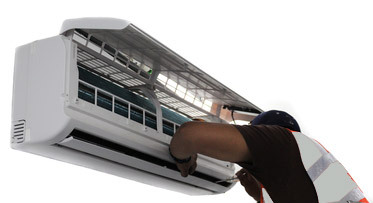 We have GREE, Aircon, Klimaire, Mitsubishi systems that are sold as package deals as well. Who has the cheapest system? Although cheapest is not always the best way to go about buying an air conditioner, out of several different brands we carry, some are cheaper than the other depending upon the sale in that particular month. But we find Aircon, Klimaire and YMGI to have very decent prices for the quality. We do have access to other brands (not listed on our website) for $50 - $100 cheaper than even Aircon for example, but they have known part issues, we do not sell them on our website anymore. Can I install ductless split unit? It should normally cost $70-$110 per hour. Depending upon which city you live in and depending upon how many hours they would have to spend at the jobsite, the cost of professional installation could be as little as $300 or as high as $1000. Every job, every application is different. Lot of times people choose to do handyman related work themselves and then they call HVAC professionals to complete the installation. 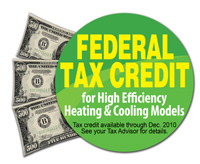 Please refer to the warranty of the product and it is always recommended the unit be installed by HVAC professional. What is needed to install split unit? 1. Copper Lineset - Always order this with your units. Find out the distance between indoor and outdoor unit and add that much length to your orders. They are sold in 15 ft, 25 ft, 30 ft and 50 ft lengths. 2. 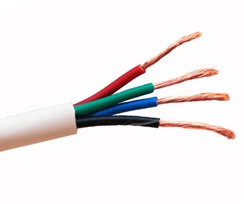 Electrical wires - normally 4 stranded 12 gauge to 18 gauge wires can be bought locally. 3. Drain Tube - Normally 5/8" diameter drain tube can be bought locally as well. 4. Condensate Pump (optional) - Only if you are going to drain against the gravity. For example room is in the center of the building and indoor unit is installed on the interior wall. In this case you will need condensate pump. How big of a opening do I need? Indoor unit connects to the outdoor unit through a 3 inch hole in the wall . Through this 3 inch hole you will run the copper lineset, electrical wire and a small drain tube to the outside. What is power source requirement? Please note, indoor units get all the power from outdoor unit. Outdoor unit is the only one that is hard wired to the circuit breaker. In short, you do not need any power outlet or anything for the indoor units. Outdoor unit on the other hand, depending upon the kind of brand and/or unit you buy will need 110V or 220V connected directly to your power panel with disconnect box (recommended). PLEASE READ THE MANUAL FOR ACCURATE ELECTRICAL CONNECTIONS. IF UNSURE CALL TECH SUPPORT PROVIDED WITH YOUR PACKAGE. How does the indoor unit drain? 1. 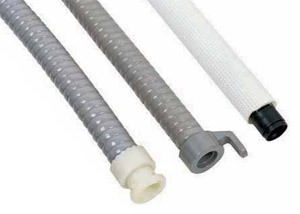 Using Standard Drain Tube - Normally 5/8" diameter drain tube can be bought locally as well. 2. Condensate Pump (optional) - Only if you are going to drain against the gravity. For example room is in the center of the building and indoor unit is installed on the interior wall. In this case you will need condensate pump. How to does thermostat work? Example remote control features below. Do these units come pre-charged? Yes, all of our Ductless Split Systems come pre-charged with R410A refrigerant. 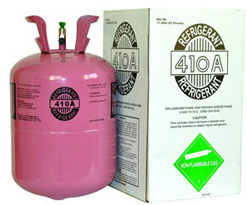 Old R22 refrigerants are discontinued. Where can I Install outdoor unit? Ideally you would install the outdoor unit on a concrete pad on the ground. But not always this is possible. Outdoor unit can also be installed on the wall outside using a wall bracket or on the roof. What is a Multizone Split System? If you need ductless systems for your entire house or multiple rooms, you need to buy multiple air handlers (indoor units). In that case you can connect multiple indoor units to one condenser outside. 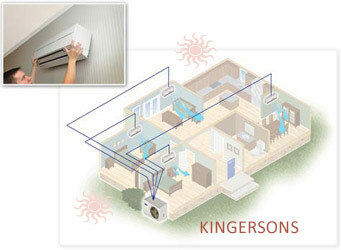 For example, when you connect two indoor units to one condenser, they are called Dual Zones. 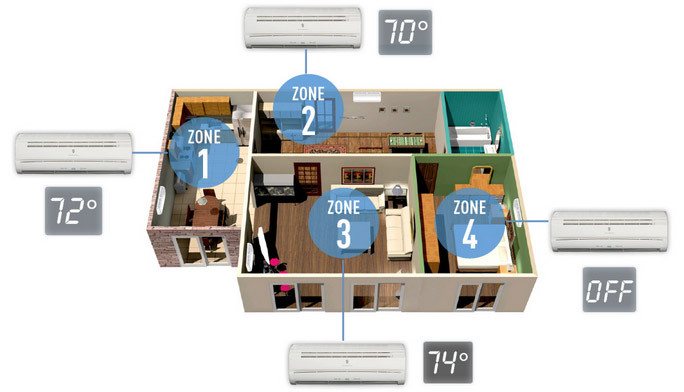 When you connect three indoor units to one condenser, they are called Tri Zones. When four indoor units are connected to one condenser, they are called Quad Zones. We do have some 5-8 zone systems as well, but they are very rare and offered by Mitsubishi, YMGI, Fujitsu and Daikin Brands. Can I do multiple rooms with 1 unit? Yes. You can buy multiple air handlers with one condenser. Remember if you just buy one air handler with one condenser that air handler can only blow air in the room its installed. The air from that room cannot easily travel to another rooms with doors and walls around, unless you have a great air circulation setup with fans. Unless it is a open floor plan, normally you need to buy multiple air handlers (indoor units) for multiple rooms. In that case you can connect multiple indoor units to one condenser outside. 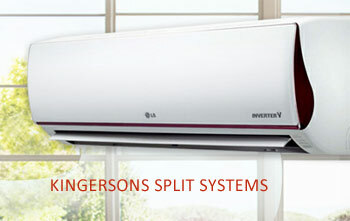 For example, when you connect two indoor units to one condenser, they are called Dual Zones. When you connect three indoor units to one condenser, they are called Tri Zones. When four indoor units are connected to one condenser, they are called Quad Zones. We do have some 5-8 zone systems as well, but they are very rare offered by Mitsubishi, YMGI, Fujitsu and Daikin Brands. How to zone different rooms? You need to determine the btu's for each room that you need first and based on that you can buy multiple indoor units that can be connected to one condenser. If living room and dinning room are connected and are open to each other with open floor plan for example, you can get away with only one air handler for both the areas. In which case this will be considered as one zone, not two zones. Similarly if this is a studio with open floor plan of just 500 sq ft with good insulation only a single zone 12000 btu would be needed. But if this was a 1200 sq ft home with two bedrooms 300 ft ft each. Whereas the rest of the 600 sq ft is open floor plan with kitchen, dinning room and living room, this could be considered as one zone while each bedroom would a zone each. This means you need a trizone split system. 9000 btu (BR1) + 9000 btu (BR2)+ 18000 btu (LR+DR+Kitchen). Types of ductless indoor units? Normally the most popular type is the wall mount indoor unit as they are cheaper to buy and easy to install. But we do have Ceiling cassette/recessed units, concealed duct units and floor mounts systems as well. Brands like Mitsubishi, LG, YMGI, Fujitsu, Panasonic and Daikin provide wide varieties of such products. Ceiling and floor mounts are normally about 25% more in cost to buy and another 15% more in cost to install. Can I mix-n-match indoor units? unit and one 12000 btu floor mount indoor unit. Can I mix and match different brands? Connect indoor unit of one brand with outdoor unit of another? No. This is not possible with ductless split systems. The indoor units will not communicate with outdoor unit of another brand. How do ductless split air conditioners work? 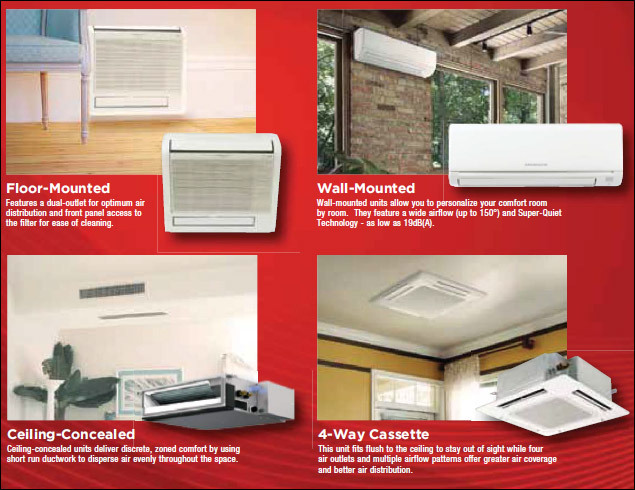 Ductless mini splits use a high quality compressor and environmentally friendly green refrigerant to cool your home, and an innovative heat pump technology to keep your interiors warm in cold weather. The near silent operation is made possible by installing the compressor outside your home or offi ce. The air handler (indoor AC unit) in your dwelling is designed for ideal climate control, allowing you to cool or heat or dehumidify your interiors. You can conveniently adjust the fan speed, air flow direction, and oscillating louvers via remote control, or simply set the 24 hour timer for care free operation. Should I replace my 10 year old unit? Why buy R410A refrigerant unit? a) It is environment friendly as it does not contain any chemicals that can damage ozone. b) It is possible to design small and more efficient cooling systems because less amount of this refrigerant is needed compared to R22 because of better heat transfer and low pressure drop. It can be used with steel,copper and brass. Small systems can be designed as less volume of refrigerant along with fewer number of colis are needed. It is a popular choice for VRF systems.Vrfs are suitable for large number of building types. The older airconditioning systems can not use R410a as it requires higher pressure.If used,it will damage the system by generating higher torqure and overloading the bearings. Please buy new air conditioning systems designed to handle R410a as it will help save our environment. Never handle r410a without gloves. Is it cheaper to buy refurbished unit? We at Kingersons do not sell refurbished units. Although refurbished units may be about $100 cheaper than a factory direct brand new item, it is never worth buying a refurbished item. We have seen customers going through a lot of issues on refurbished products where such units work fine for first few months but then experience circuit board failure, which creates a domino effect and leads to one issue after another. 10 reasons why you can trust Kingersons. Helping you with making a right decision is one thing, but best warranty and authentic brand new products at wholesale prices is what we we are known for in the industry. WE HAVE ALL THAT YOU NEED AND LOT MORE! 1. 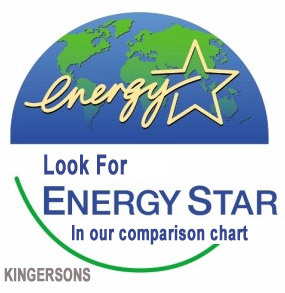 Many options to compare - We have brands like Friedrich, LG, YMGI, Carrier, Sanyo, Klimaire, Shinco, Haier, etc. This means you have low to high end prices from different brands with several different options to choose from. 2. 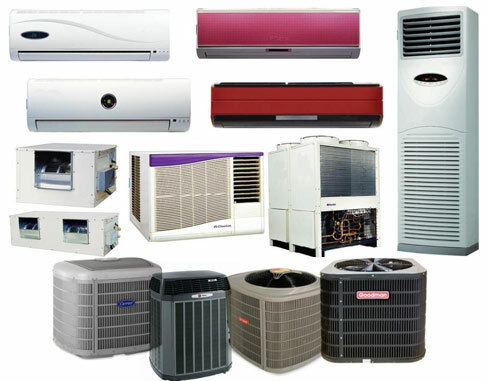 Good Warranty on all Air Conditioners - Most of our Split air conditioners have 5 years compressor and 3 years on parts. 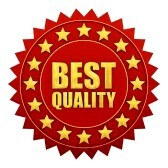 industry and have excellent feedbacks and ratings from customers. You can compare the features with any top brands and you will see them all here on our website. 6. GET FREE GIFTS WITH ALL OF OUR AC'S (Check all details on our website) . 7. 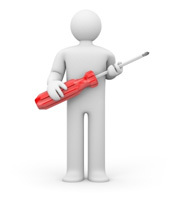 Excellent after sales tech support provided in case you need help with installation. What is the warranty on split units? 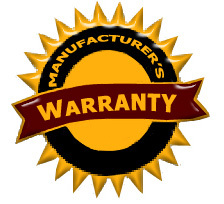 All of our products come with Manufacturer warranty. None of our products are sold without warranty, unless specified on product detail page. Most brands offer 5 years on compressor and 1 year on parts. While some brands offer 7 year on compressor and 5 years on parts. Please read the product detail page to verify your product warranty. Is installation tech support available? Yes, all of our products come with tech support phone numbers with the package. Your installer can call this toll free number for any installation related questions if the manual is not clear. Which brand/unit is the quietest? 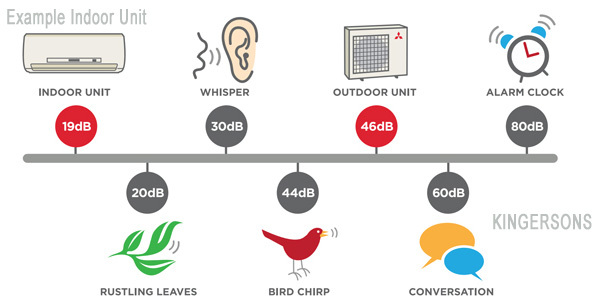 Mitsubishi, LG, YMGI and GREE would be the quietest that we sell. Fujitsu and Daikin for known to be quiet as well. Do we sell covers to hide the lines? Is there any tax credit on such units? Can I get discount on multiple units? Absolutely, you can select the product you like and “make an offer” using our online quote system or call us with your list and we will provide discounts accordingly. Every unit comes with a warranty card and toll free tech support number. Warranty card must be filled out by an HVAC installer and mailed as per instructions to the manufacturer’s corporate office in the US. Heat pumps provide both cooling and heating, so the efficiency is measured in two different ways. When the heat pump cools, a SEER rating or Seasonal Energy Efficiency Ratio measures the efficiency. The SEER rating is similar to gas mileage on a car. The higher the SEER rating the more efficient it is. Most of today's heat pumps have a SEER rating between 13.0 and 28.0 SEER. When the heat pump heats the home, a Heating Seasonal Performance Factor or HSPF rates the efficiency. The HSPF rating works the same way as the SEER rating does. The higher the HSPF, the more efficient the system is. Most new units today have a HSPF rating between 7.7 to 12.0 HSPF. Can I pick up the units? Splits system packages are heavy. It is recommended that we ship and deliver to your door step. Moving boxes without fork lift on a pallet could be challenging. 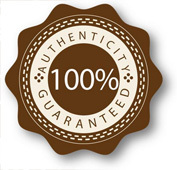 99.99% of the products we sell are shipped to the customers directly. We ship all across USA. Additional shipping cost only applies to Hawaii and Alsaka. In many cases we also ship to Canada and Bahamas (additional shipping cost will apply on such deliveries). It is better to find someone locally using Yellow Pages or Craigslist for example. You may need to call several listed to find someone at a very decent price but equally qualified. Any local air conditioning company (HVAC company) can install these units. They are very simple to install. Anyone with a HVAC license should be able to do this. Does Kingersons have local dealer? Hawaii, Alaska, Bahamas and Cayman Islands. We will ship and deliver it to you door step and obviously all products come with the warranty as well. Is brochure available for download? Yes, click below links to download brochures.